With an average of 4.37 million viewers tuning in over the course of 6 episodes, Suits has kept a steady viewership throughout its run. There is yet to be any word on whether or not the show will receive a second season, but my personal opinion is that this grand and inspirational show deserves a second season. 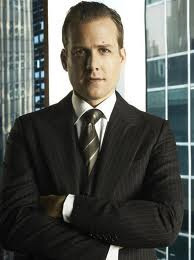 Another season could provide a chance to expand the characters, especially that of Gabriel Macht’s Harvey Specter. We’ve only learned of his womanizing, car loving, self-loving and gifted legal skills, but nothing of his past, save for he has a younger brother. If you haven’t tuned it, yet, it is a great show and I advise you take a chance in viewing it. Comments for “Suits” Stays Steady and On Track with 4 Million Viewers are now closed.